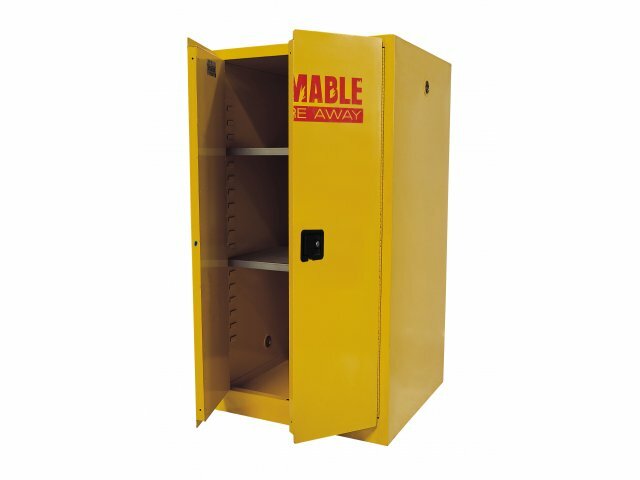 If you work with a large quantity of flammable liquids, then this flammable liquid storage cabinet makes sense. This all steel, wall mounted cabinet includes two shelves with a combined capacity of 500 pounds. The total storage area is equal to 60 gallons. 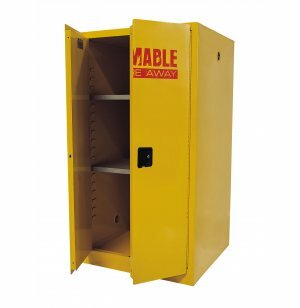 All flammable liquids are kept secure by means of the specially designed double-walled, 18-gauge, welded-steel construction. A 2"-high leak-proof door edge helps contain spills and a keyed locking handle keeps everything secure.